At least five patients have died at a Beijing hospital with a 'superbug' infection from a dirty bronchoscope that doctors were sterilising themselves. 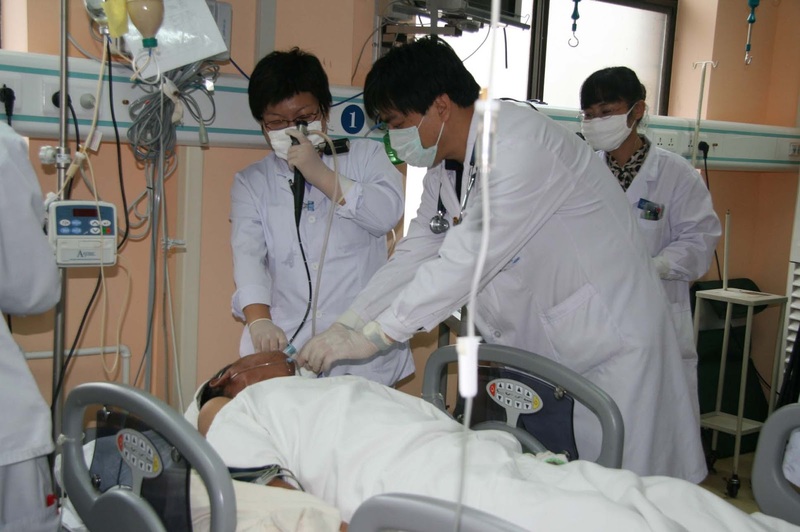 An outbreak caused by multidrug-resistant Acinetobacter baumannii affected 12 patients being treated at the intensive care unit of a 1200-bed hospital in Beijing. An investigating team led by Dr Xia Yukun of the Department for Hospital Infection Control & Research at the Institute of Disease Control & Prevention of PLA, Academy of Military Medical Sciences traced the outbreak to inadequate sterilisation techniques used to clean the ICU's bronchofiberscope. The researchers found that there was only one bronchofiberscope in the ICU and bronchofiberscopy was performed once or twice each day for secretion clearance, tracheal intubations, and bronchoalveolar lavage. Usually, the bronchofiberscope was sterilised thoroughly by professional staff in the hospitals' disinfection unit according to according to the appropriate guidelines for endoscopy cleaning and disinfection However, when the bronchofiberscope was used in an emergency situation it was cleaned manually by a doctor in the ICU after use. During the outbreak period, 12 patients were infected with the multidrug-resistant Acinetobacter baumannii, which is hard to eliminate because it survives on many surfaces and has extensive resistance to many of the currently available antibiotics, including cephalosporins, aminoglycosides, quinolones, and carbapenems. Five patients died of the infection during the outbreak. The researchers say the bacteria might have been transmitted through direct contact with the bronchofiberscope or transmitted through healthcare workers’ hands during other medical procedures. "In our investigation, most of the [bacteria] were isolated from the healthcare-associated environmental surfaces including the bed sheets, bedrails, dispensing table and nurses’ desk," they note.